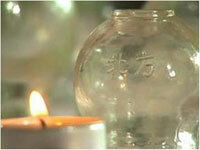 The earliest recorded use of Cupping is 28 AD in China. a profound level of healing through nervous system sedation. It stimulates the skin by increasing circulation, separating fused tissue layers and drains lymph to promote a smooth appearance and healthy glow. Working deeper... it loosens adhesions, facilitating the muscles to operate more independently and stimulates the healthy elimination of accumulated toxins in the skin, tissues, organs and other bodily systems. Cupping refers to an ancient Chinese practice in which a cup is applied to the skin and the pressure in the cup is reduced, by using heat or by suctioning out air, so that the skin and superficial muscle layer is drawn into and held in the cup. In some cases, the cup may be moved while the suction of the skin is still active, causing a regional pulling of the skin and muscle tissue... this technique is called gliding cupping. By creating suction, or negative pressure... Cupping therapy softens tight muscles and brings hydration and blood flow to body tissues. A 2000 year old Chinese saying acupuncture and cupping, more than half the ills cured. Chinese medicine observes that Cupping dispels stagnation of Blood and Chi, along with external pathogenic factors that invade a weakened bodily system. A weakened system is a result of depleted "Jing Chi", or original essence... and will usually progress to a "Wei Chi", a weakened defense or immune system-Cupping revitalizes and mobilizes the immune system for greater health and recovery. It should be noted that Cupping causes a temporary localized bruising… a poke-a-dot appearance that may last a few days—but will eventually disappear. At Wendy’s Massage… there is a massage type and technique offered that will meet everyone’s individual needs—from a pampering Chinese Relaxation massage to Caī Bei and Tuī Ná therapy. As Wendy cannot perform every type of massage for her customers... she has teamed up to collaborate with other independent therapists who specialize in a wide variety of other world class techniques… each offering their special skills— so that the widest variety of massage techniques can be offered for your therapeutic pleasure. 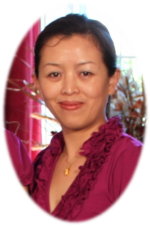 Wendy is proud to offer these truly unique skills of authentic Chinese massage therapy here in Chico… by collaborating and sharing her beautiful massage facilities with other therapists.